Dyslexia, a specific reading disability, is a typical example of a learning disorder. People having dyslexia are just like ordinary people in terms of intelligence. Since its symptoms are not obviously noticeable in everyday life, it often passes untreated in childhood. This type of disorder is one of the reasons which explain why certain children perform less well than others. The Hong Kong Specific Learning Difficulties Research Team has conducted a survey on this matter. From a sample of 700 students from 27 schools, approximately 12% of them have a reading disability. Also, in 2008, the University of Hong Kong has estimated that 7-9% of Hong Kong students have a reading disability. That is to say, roughly every 1 student out of 10 in Hong Kong suffers from such a disorder. As the problem is rather common and not easily observable, most parents tend to exert pressure on the child with the belief that he or she has not put enough effort into school. As a result, the youngster may develop a sense of inferiority, which may have adverse effects on self-esteem and self-confidence. This becomes a vicious circle as the child may lose interest in learning and later experience a number of difficulties in the workplace and other social settings. In fact, most people with dyslexia have normal or above-normal intelligence. Both Albert Einstein and Thomas Edison had a reading disability, yet they managed to revolutionize the world with their scientific contributions. Parents of dyslexic students, therefore, need not worry too much. What matters is how early they are able to observe their child's reading difficulties and in accordance, develop a strategic learning method or treatment for a brighter future. 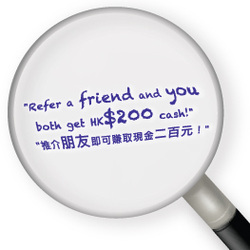 For more information, please visit: http://www.interactivetutors.hk.